You can watch this exclusive Mr. Media interview with Joachim de Posada by clicking on the video player above! 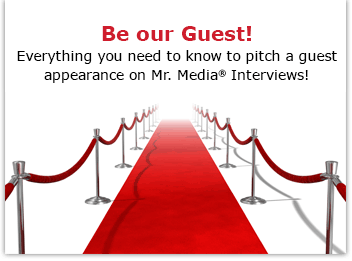 Mr. Media is recorded live before a studio audience of people who can count marshmallows all day but would rather be counting dollar bills all night … in the NEW new media capital of the world… St. Petersburg, Florida! 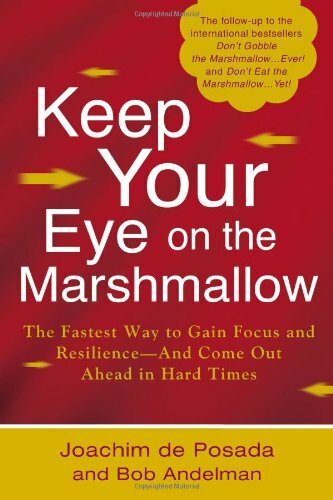 Order ‘Keep Your Eye on the Marshmallow: Gain Focus and Resilience-And Come Out Ahead’ by Joachim de Posada and Bob Andelman, available right now at a great price by clicking on the book cover above! A few weeks ago, my son Charlie and I went with another family on a college visit to the Ringling College of Art and Design in Sarasota, Florida. On the drive down, Wendy’s mom asked me about my new book, written with internationally recognized motivational speaker Joachim de Posada—Keep Your Eye on the Marshmallow. She wondered if it was based on the landmark Stanford University study in which young children were put at a table with nothing but a single marshmallow. They were told that if they did not eat the delicious treat in front of them, in 15 minutes they would get a second marshmallow. The world, it seems, is split up among those of us who can delay gratification and are willing to wait for it, and those whose impulse control is such that their desires must be satisfied right now! It turns out that Wendy’s mom had tried out the marshmallow experiment on her daughter at a very young age. Her result? Wendy had the patience to wait 15 minutes to be rewarded. This behavior, science tells us, bodes very well for Wendy’s future as a productive member of society. As for those children in the experiment who could not wait to consume the single marshmallow? Well, their future is not so bright. Keep Your Eye on the Marshmallow is the third book in a series of international bestsellers with more than 3 million copies in print. It is a unique hybrid of fiction and nonfiction, opening and closing with a true parable and an update of the latest scientific marshmallow research. The gooey center of the book, meanwhile, follows the fictional tale of the ever-ambitious Arthur and his challenges to balance saving his marshmallows in business against being a loving husband and father. Joining me today is the world’s real marshmallow theory expert and proponent.